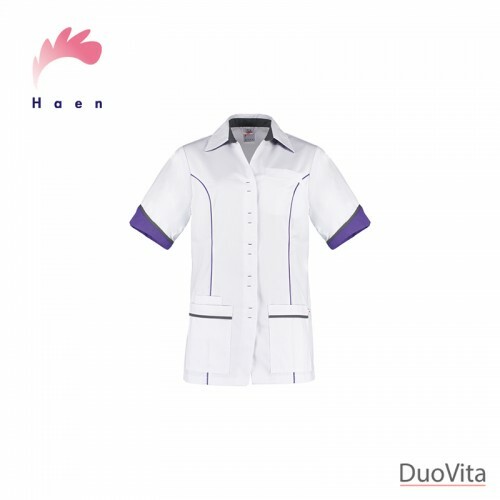 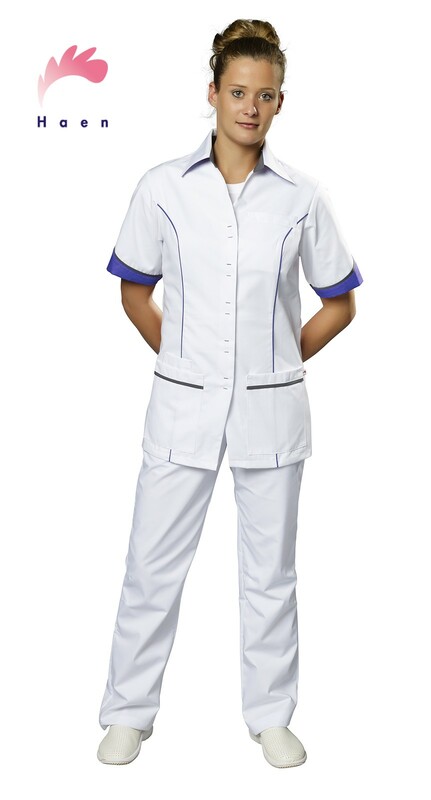 Nurse Uniform Chanel has a from-fitting shape and eye-catching detailing. 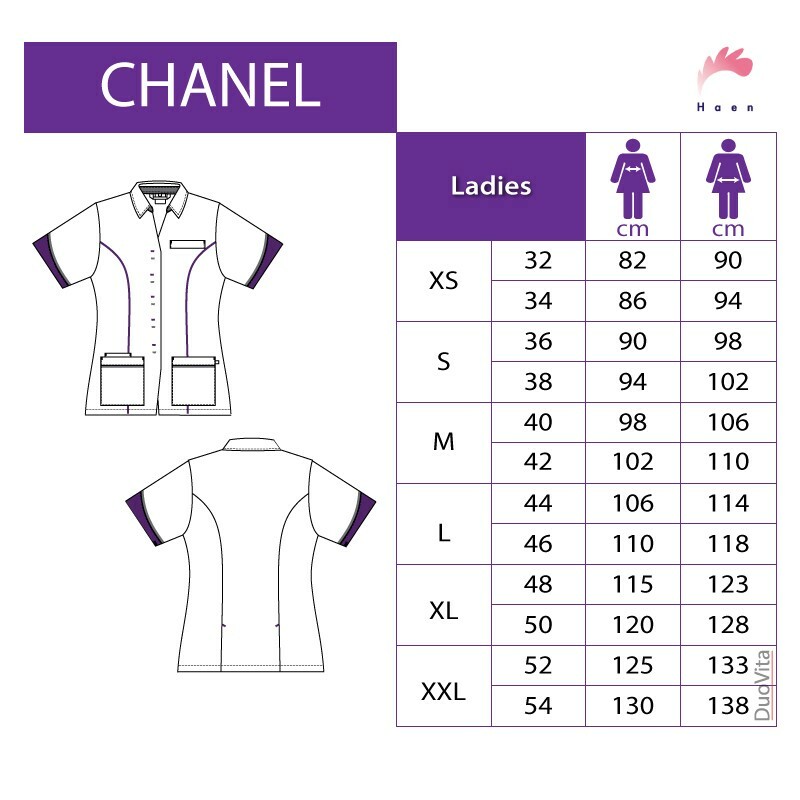 The vertical detailing emphasise the from fitting shape. 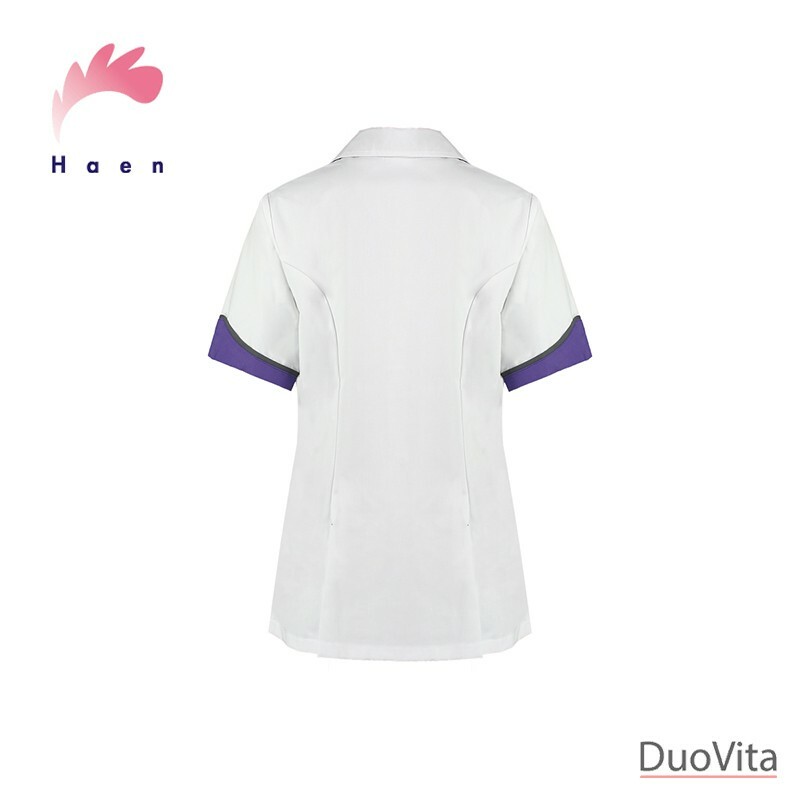 Back slits ensure ease of movement. There are two patch pockets on the front so that all your utensils are always at hand.